We’ve now been at this for over 20 years. It’s been fun to see the farm evolve into what it is today. Nothing makes us happier than to watch people enjoy this space we call home. 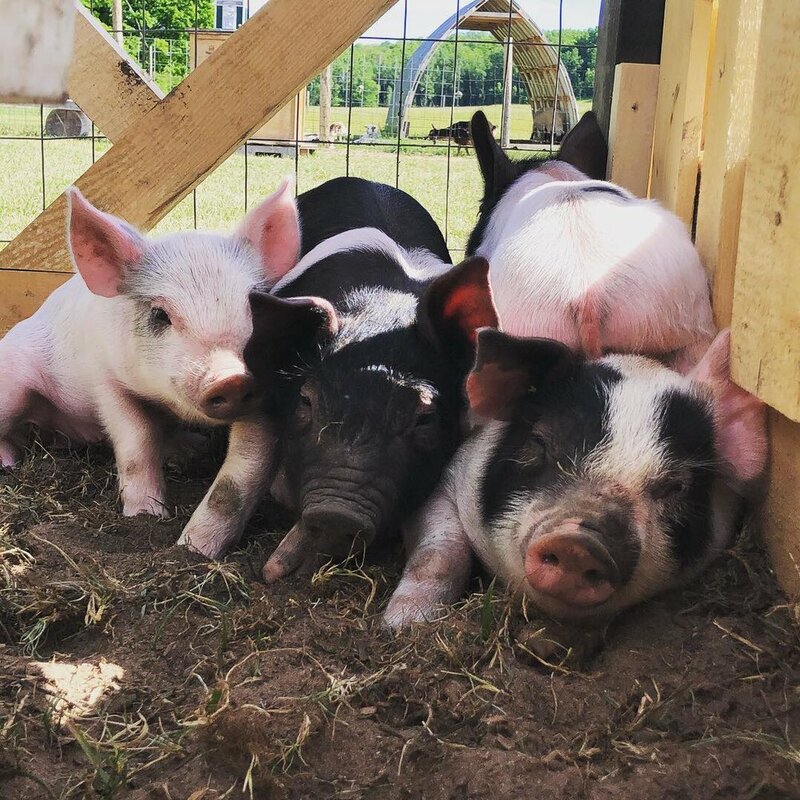 We want to share our farm with you! Whether you're strolling through the vineyards, enjoying our beer and wine, or shopping our farm store, we know you will enjoy your time here at Pond Hill Farm. Our property offers the possibility of a hike through the woods, a quiet walk across grassy fields, or a snowy cross country ski, snowshoe, fat tire bike, or hike on our miles of groomed trails. The Vineyard Sled Hill is a must for children of all ages in the winter! We have sleds available for you to use. Helmets are encouraged. Our Gnome Scavenger Hunt is available year-round! It’s located on our easy green loop and is so much fun. Find the gnome houses along the way. Open the little doors to reveal the letters. Use the letters to find out the secret code and win a prize! Our cozy tasting room overlooks one of our vineyards as well as the sled hill! This is a great spot to watch the kiddos from. Try our award winning wines, craft brews, or delicious hard cider. The cafe features wonderful, seasonal, farm fresh meals. Our famous Parmesan Crusted Grilled Cheese is legendary and craved across the midwest! Enjoy outdoor dining on our deck on beautiful days. It overlooks our greenhouse, vineyard, and pasture. Visit our market for fresh veggies, homemade canned goods, our wine, beer, and cider, local snacks, gift boxes, t-shirts, handcrafted soap and more! Favorites in the market include our hot garlic pepper jelly, spicy peanut sauce, pine soap, and get plowed t-shirts. Our livestock barn is open year-round to visit our goats, sheep, chickens, ducks, and geese. The big sheep is named Speckles and she will come to her name. The top of our vineyard has a breathtaking panoramic view of Lake Michigan and the surrounding countryside. Summer weekends bring hayrides to the Trout pond where the fish are big and hungry. Our playground is a great spot to relax with a drink and let the kids run and play! Kids will love our teepee climbing wall, the sandbox, slides and swings. Don’t forget to bring your dogs on your adventure! The farm welcomes friendly dogs on leashes in all of our outdoor spaces including the deck of the Cafe. No one is ever too old for the Squash Rockets, our massive slingshots that let you fling fruits and vegetables out into our fields! Visit our events page to see about upcoming special events. 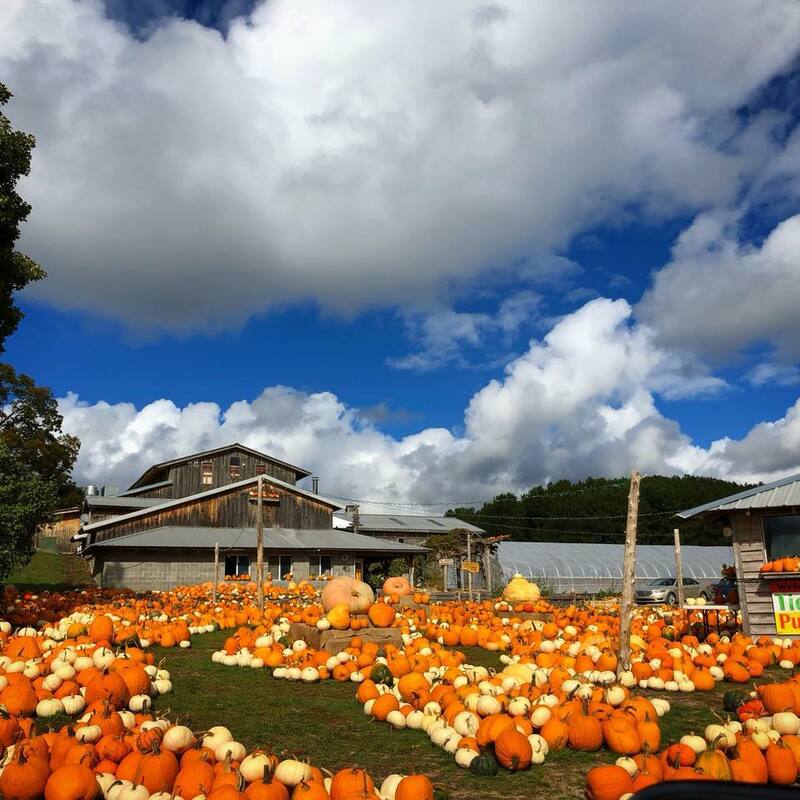 Season events include the annual Leprechaun Candy Hunt, Easter Egg Hunt, Fall Fest Weekends, Holiday Fest, and Fire and Ice Trailside Tasting Event. Join us at the farm for your next adventure! Come for lunch and stay for the afternoon.